Conversion rate optimization (CRO) is about improving your offer and conversion experience, so that more visitors share their contact information and become leads. But it’s not just about getting more leads – CRO is also about getting better leads, obtaining more insightful information about the leads as they sign-up. You have to be careful, however, because longer forms which ask more questions can kill your conversion rates. 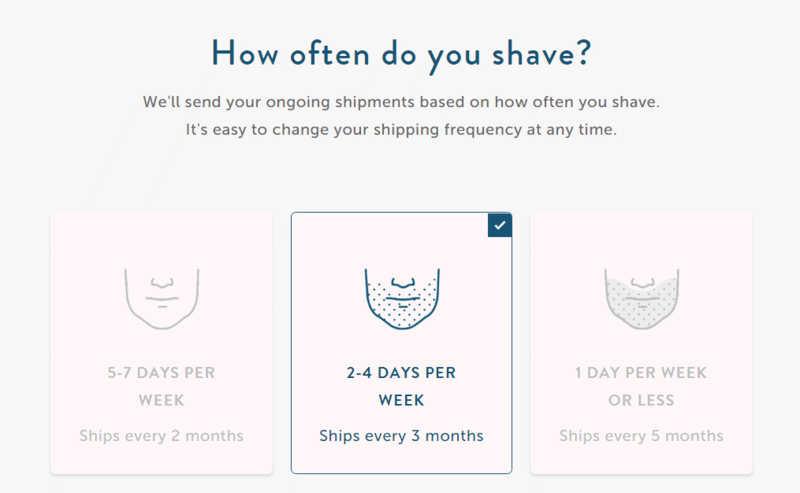 You don’t want your desire for better information to get in the way of conversions. So how do you get better information about your leads without probing too much? There’s both art and science to it. In this post, I’ll share four strategies to improve your lead quality, and boost sales. Some salespeople will say, “Just give me the contacts, and I’ll run with it.” And while a salesperson certainly can ‘run with it”, better salespeople ask for context, and try to customize the sales experience as much as possible to each buyer. If you’re using inbound marketing to get leads, for example, wouldn’t you want to know which content offer a lead had signed up for? That shows you what the prospect is interested in, and gives you a jumping off point to start the sales call. Beyond simple context, collecting more, and better information lets you target follow-up marketing efforts and customize your sales approach. According to this article from Marketing Insider Group, it’s not only desirable, it’s essential, as B2B buyers expect a rapid and personalized response. Reduce post conversion research – Asking simple questions at the time of conversion, such as, “What is your job role?” means that salespeople will have to do less research before reaching out to leads. They can act more quickly and connect with leads. Get information about your leads that isn’t available through research – You can look up a job role, but job roles aren’t always descriptive – one company’s ‘communications director’ might be another company’s ‘digital marketing coordinator’. When a prospect engages with, you can ask them real questions about their job challenges, and goals. Focus your follow-up on what matters most to your leads – The more you know, the better you can follow up. On the marketing side, additional information can be used to select different workflows with more meaningful email sequences to nurture leads and move them down your funnel. Remember, inbound marketing and sales isn’t about you – visitors engage when what you’re offering looks like it might help them solve their problems or embrace an opportunity. Give your sales staff a better starting point – Sales staff can use additional information to design custom call dialogs which speak to a prospect’s circumstances, and to construct solutions that address their needs. Do a better job qualifying leads – Not everyone who signs up will be a good fit for your sales staff to pursue. They might not have a budget. They might be too large, too small, too specialized, or something else. 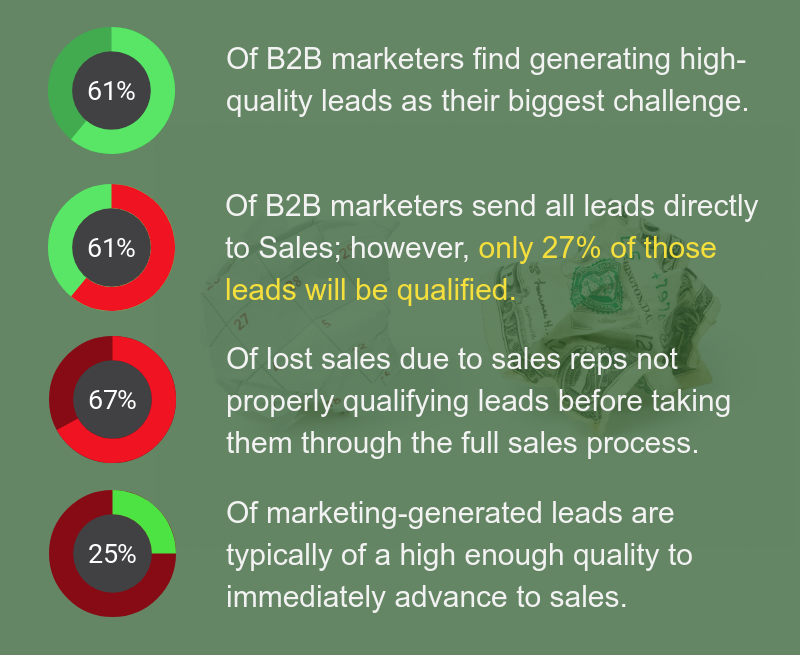 Qualifying good leads – and disqualifying bad ones – is important because it keeps your sales team focused on pursuing the right business for your organization. This is a tricky issue. Forms shouldn’t be too long, and you shouldn’t ask for too much from your prospects. But even a single question can help you formulate a more personalized follow-up. If your form is between three and six fields, consider adding a field to gather a little more information. Which option best describes your role in the organization? Give them a list to choose from. This enables people to self-select which persona they map to. It will help you refine your personas and tell you what types of prospects are engaging with your content. What’s your biggest job-related challenge right now? This speaks directly to the prospect’s problems, and enables salespeople to position your products and services to address that issue. What’s one task you’d like your organization to do better? Give the prospect a list that maps to your solutions and services. This links your offerings to the prospect’s needs, and gives a salesperson the perfect place to pick up the conversation down the funnel. Which trend/technology would you like your organization to use or capitalize on? Again, let prospects choose from a list that maps what you offer. This allows you to position your solutions and services as a way to realize opportunities prospects wish to pursue. A word on lists versus reform responses – you’ll notice that we encourage the use of lists in forms when asking for this information. We’ve found that we get actual answers that way. When presented with a list, people tend to choose the option that most closely matches the answer to the question being asked. When given the option to enter freeform responses, while we do get some good responses, we also get a lot of “asdfasdfasdf.” As always, A/B test to try both, measure responses, and use what works best for you. Generally speaking, the fewer fields in your form, the more people are likely to fill it out. To optimize your forms, and improve conversion rate, you may wish to move those non-essential ‘role’, ‘task’, or challenge based questions to a Thank You page. There are lots of ways to use Thank You pages to get more sign-ups and move people down your funnel. At the point where a prospect has signed up, they’re usually very willing to engage – use this time to collect more information. Ask those same types of role, task, and challenge questions put forward in Tip 1. Just ask one, and position it as an ask for help. These are a great lead-in to ask prospects about their role, job tasks, challenges, what they want to do better, or trends they’d like to capitalize on. Thank you pages are also a great place to ask for feedback. You can ask why prospects decided to sign up in order to gain valuable information to optimize your conversion process. You can also ask customers what features they like the most about your products and services, or why they choose your organization over competitors. A survey can be another great way to collect information. You can gather job, task, and challenge information, or feedback on your conversion process, solutions, or organization. Surveys are a little different. They’re a whole new commitment for the prospect so they probably need to be incentivized through another content offer, a discount code, or something along those lines. Keep the survey short, and tell that to your prospects, so they aren’t intimidated. Three or four pieces of information is a lot to get from someone, and surveys are great because you’re able to get it all at once. Survey tools like Survey Monkey and others can be embedded into Thank You pages like other website pages. Many marketing and landing page tools allow you to progressively profile your leads as they return to your site and sign-up for more content offers. This is great because it enables you to capture new and different information about your leads the more they engage with your content. 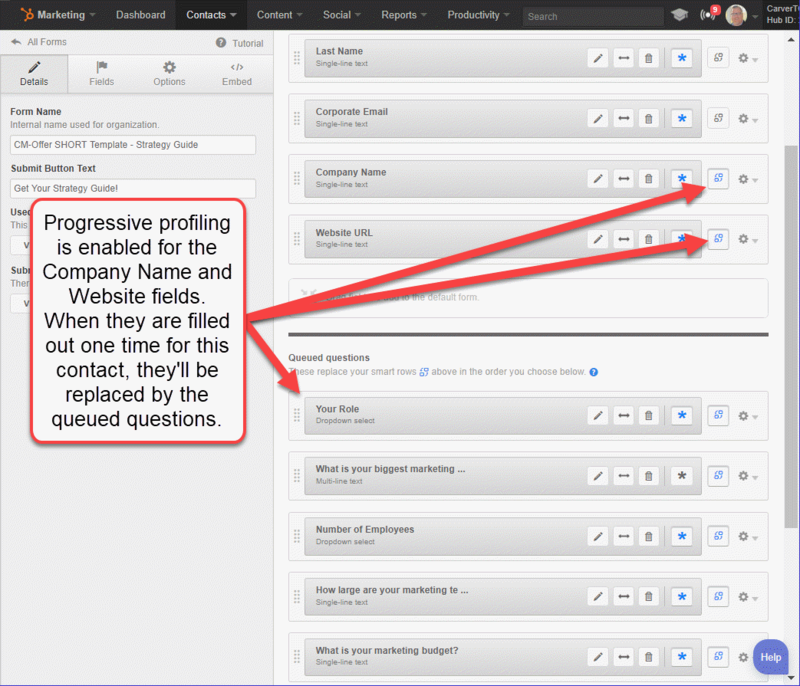 For example, progressive profiling works by tracking the information a contact has already provided, and substituting new questions in forms for questions the contacts have already answered. So as contacts continue to engage with you, and move down your funnel, you learn more about them. These four strategies are great ways to get just a little more information about your contacts, but that information can be invaluable. It will enable your marketing team to send emails on topics that are important to your leads, and help your sales staff to start conversations by speaking to your prospects needs and challenges. All of this makes your marketing and sales staff better able to customize and personalize communications, offers, and value propositions.